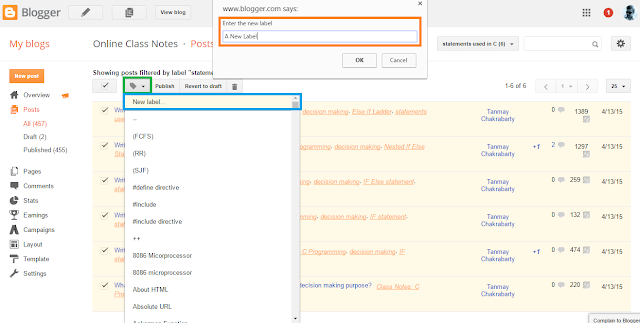 How To Add/Remove a Label To/From Multiple Posts at a Time in Blogger? 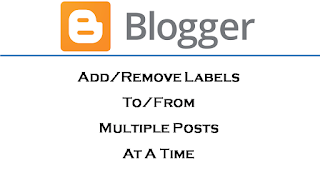 Dear blogger users, when we start blogging with blogger we misuse labels in blogger in blog posts. 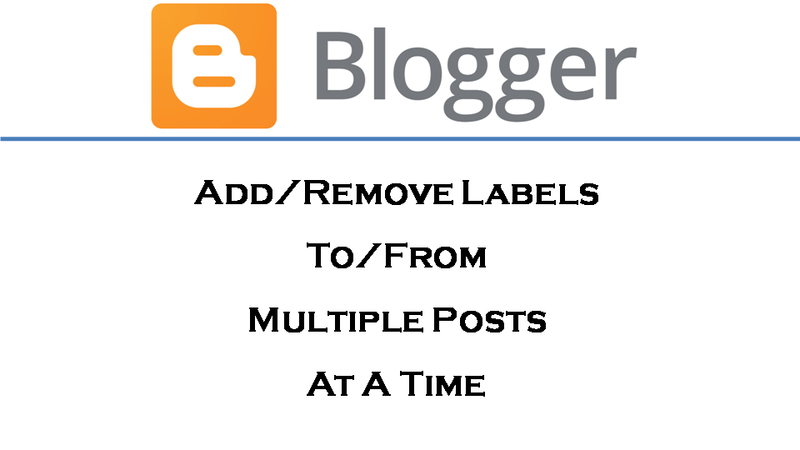 We generally forget that labels in blogger blog posts are like categories. Sometimes we might also not use meaningful labels to blog posts. Instead we use meaningless labels to our blog posts. Thus after a year, when we start learning more about categorizing blog posts with labels, we find hundreds of meaningless or misused or misspelled labels in our blog posts. But removing those labels from so many posts can be tedious if we plan to remove them by editing each of those posts where they were used. Again, adding correct labels in place of misspelled labels can be tedious too, as we again have to go to edit each such posts and then remove the misspelled label and then add the correct label. So here is the quickest way to do it. 1. First go to all posts by clicking on Posts from the left hand side menu in your blogger dashboard. 2. Now to find out only those posts where the label has been used that you want to remove filter the list of posts by selecting the label from the All Labels dropdown at the top right corner. 3. Now the list of posts has been sorted with the label you selected. Select all posts using the checkbox at the top left corner. 4. If you have more than the number of posts shown on the page with the label then first increase the number of posts per page and then select them all. 5. Okay, from the label dropdown at the top-left corner click on the label that you want to remove. That's it, the label will be removed from all the posts. 6. To Add a label to the selected posts, simply click on the New Label option (the first option) and type the new label in the text box in the prompt box and click OK.